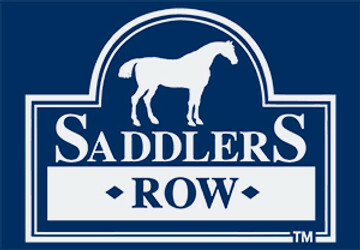 Saddlers Row is one of the largest, full-service English saddle shops in the United States. We offer a full range of apparel, equipment, health care products, and services. In addition, Saddlers Row is fortunate to have Judi Berninger, a professional Saddle Fitter qualified by the Society of Master Saddlers, UK, available to provide advice on saddle fitting. Saddlers Row is located in Palatine, IL. For phone numbers and addresses, please visit out Contact Us page. As you view our website, please bear in mind that it is not intended to be an on-line catalog of everything in our store. Instead, our goal is to showcase the products that you can't find at other sites. If you don't see what you are looking for, please call our toll-free number at (888) 710-7171. We probably do have it or we can order it for you. We welcome your comments, suggestions, and questions. Please let us know what products you would like to see on our site. We look forward to your emails.